Promenera till alla de underbara restaurangerna och butikerna i Downtown Royal Oak från denna privata, rena, bekväma, rökfria stora 1-rumslägenhet med lägre lägenhet. Nära till stora motorvägar och attraktioner. Stort öppet koncept kök med allt du behöver. Internet och kabel. Stor skärm tv i vardagsrummet och en tv i sovrummet. Extra bekväm luftmadrass queen size bäddsoffa för extra gäster. Central luftkonditionering och fläktar. Kaffe, te och andra tilltugg. Vi ser fram emot att vara värd för dig och vet att du kommer att njuta av vår stora stad och vår stora lägenhet. Det finns en övre plan ovanför, så du kan höra att gå över huvudet när denna lägenhet är upptagen. This is a great place! Cozy and comfortable inside, I felt like I was home the minute I walked through the door. We really enjoyed our time in Royal Oak. 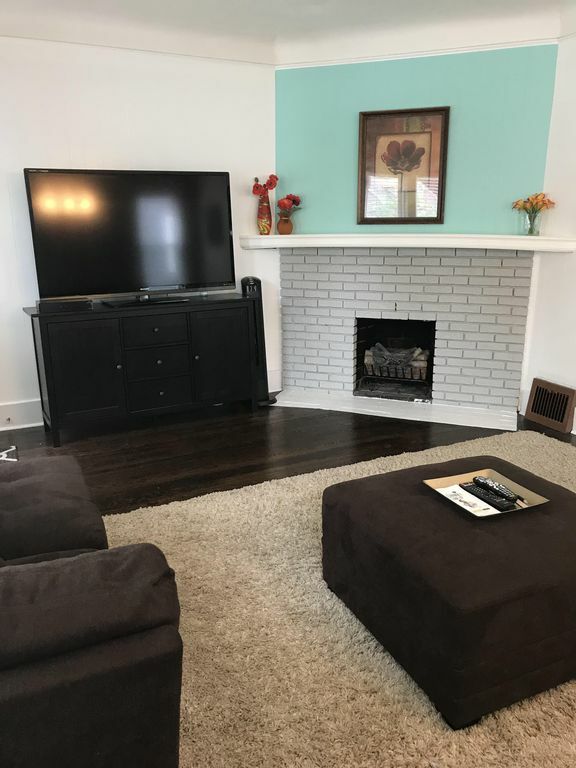 This house is within walking distance to downtown and in a cute little neighborhood. The kitchen is well stocked and the house is furnished nicely. We will definitely stay there when we return. I'm actually renting the unit upstairs from this one (same owner) for a month, but rented this one for some extra family coming into town for a weekend. It was very cozy and well appointed. I may even chose this unit in the future. It beats a hotel for sure! Jodi has been very accommodating and helpful. A secret treasure in the city! This is a well priced rental. The decor is lovely and welcoming and the kitchen is superb! Close to many sites and the owner was super nice as we were fortunate enough to get to meet and speak with her for a bit. We were very comfortable!